Since spring cleaning is probably on our minds, I’d thought I’d share with you how I organize my cleaning products. 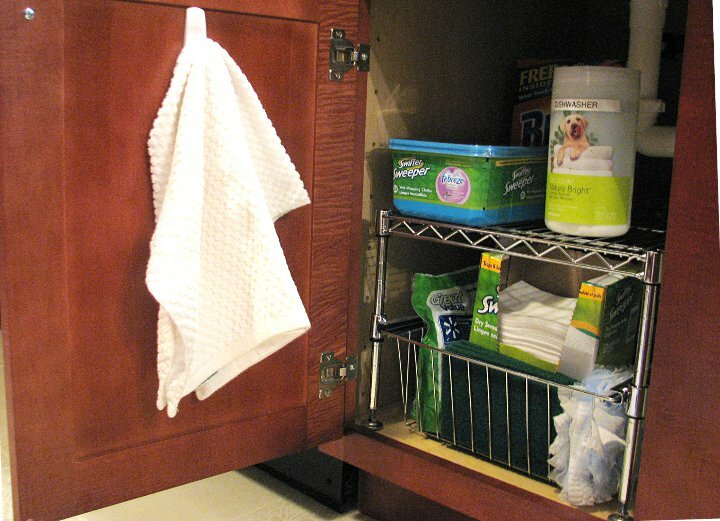 Here’s how I group things under the kitchen sink. Efficiency is key with this setup and I can honestly say it works really well for me. I use rubber gloves when I do dishes and kitchen cleanup because, well, nasty food totally skeeves me out. I found the white clips on clearance at Staples for $1 and thought, Hmmmm. 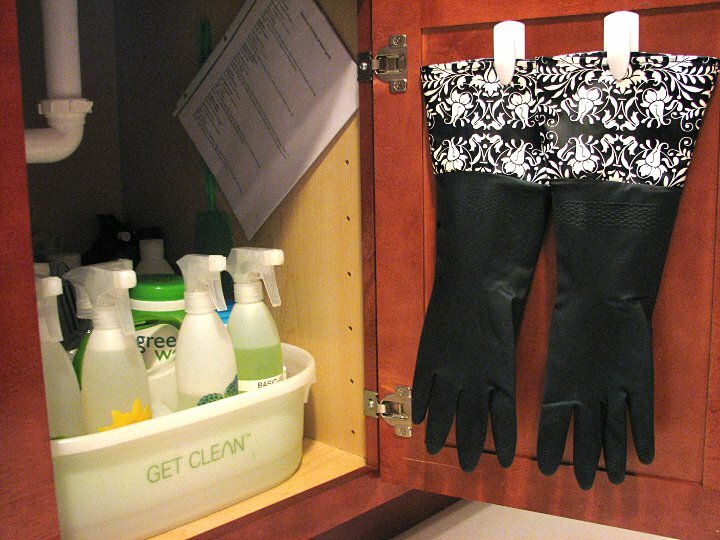 What a great way to store my rubber gloves! My previous method of tossing the gloves toward the back of the cabinet was not really working for me. Placing my main cleaning supplies in a caddy really revolutionized my cleaning efficiency. (It’s the little things, right?) I got the idea from an excellent book called, “How not to be a messy: The ultimate guide for the neatness challenged” by Sandra Felton. 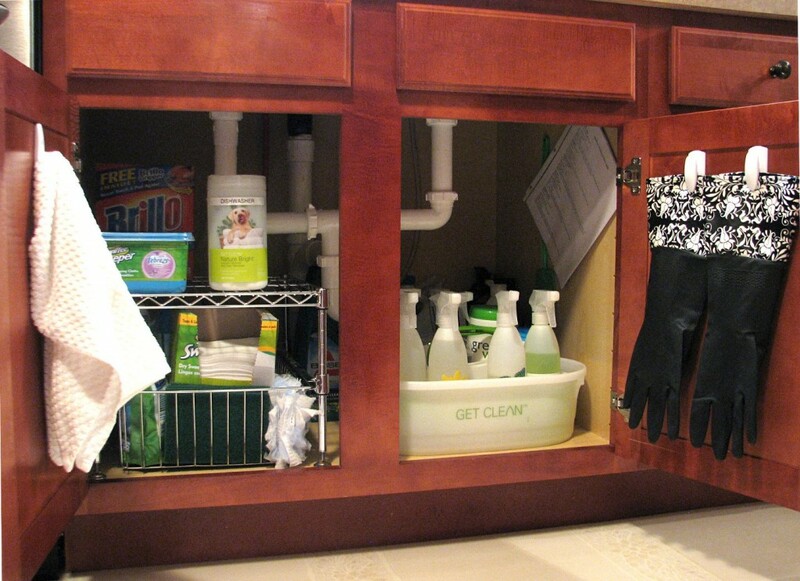 The caddy system works because you can take all your cleaning supplies with you from room to room and you don’t have the expense of stocking every sink with supplies, or the hassle of traveling back and forth to get stuff. Plus, this is a great method if you have little ones and you want to reduce the chance of them getting their hands on harmful chemicals. Speaking of avoiding harmful chemicals, I mostly use Shaklee’s non-toxic, biodegradable cleaning products. 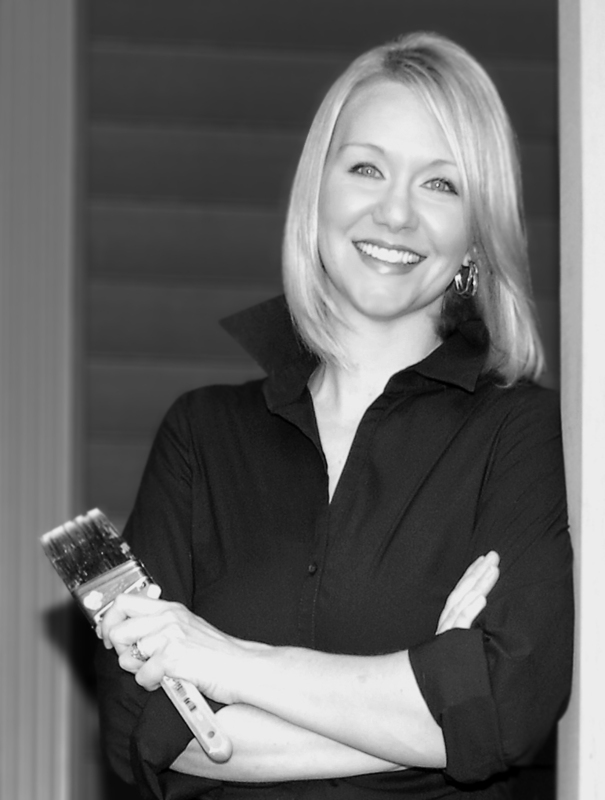 If you already use Shaklee products, or are thinking about switching to them, here’s a free guide on how to mix and use their cleaners for any job you have: Shaklee cleaning guide. I also store my Swiffer refills, dishwasher detergent and dish scrubbers here. The drawer pulls out, so I can easily get to the stuff in the back of the cabinet when necessary. So, there you have it. My under-the-sink organizing strategy in a nutshell. Oh. One more thing. In case you have the insane thought that I’ve got it all together, check out the countertop right next to the sink. I’m linking this up to Wild Wednesdays and Love of Family and Home. 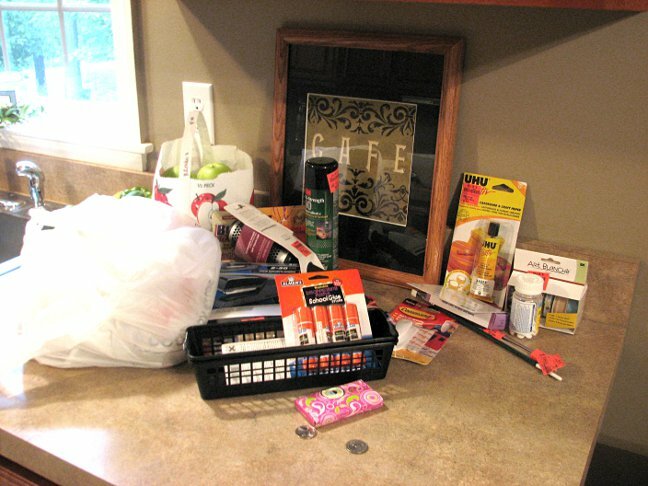 This entry was posted in Cleaning, Kitchen, Organization and tagged organize cleaning supplies, Organize under the sink, spring organization by Susan. Bookmark the permalink. Everything looks great and so organized. Where can I find the under the sink basket that pulls out? Oh … I wish I could tell you exactly. The basket-thingy was left under the sink when we bought our house, so we inherited it. I would check Bath, Bed & Beyond, Lowes or Home Depot. Thanks for stopping by! We have a pull-out drawer basket very similar to the one that you have. We purchased it rather inexpensively at Lowes. Thanks Sally! Hope your little man is doing well.